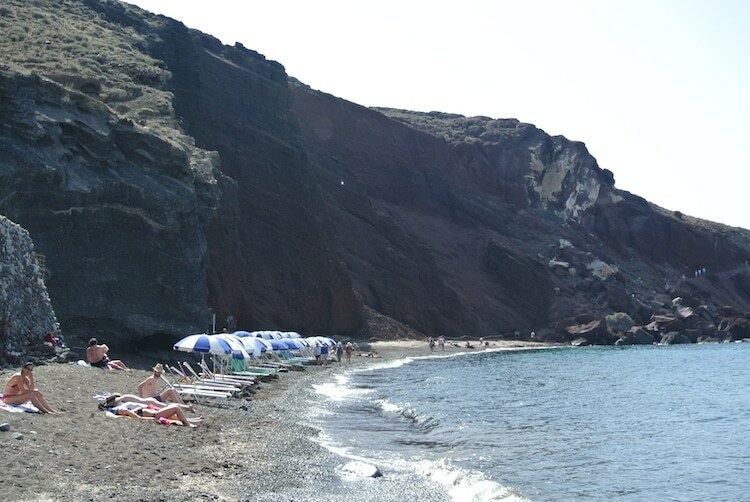 Despite being one of the many Greek Islands, Santorini is not known for it’s beaches. Santorini is known for many things; beautiful views, stunning sunsets, white cave houses perched on the cliffside, romance, honeymoons, but beaches is not one of them. Santorini still has some great beaches which are quite unique, but just don’t go expecting white sandy beaches with clear blue water. Chris and I were determined to check out Santorini beaches to find the best ones. So we hired a little red car, made our way out of Oia, Chris drove whilst I held my breath going around the bends with nothing but a steep drop off into the ocean beside us (I have a tiny fear of heights and this was definitely not helping). And we spent the day “researching” beaches around Santorini. Our pick of the beaches overall would be Kamari Beach, due to it’s location, amenities and atmosphere. There were a few restaurants, lot’s of umbrellas and chairs, and this would be a family friendly beach. Our pick of beaches for adventure and uniqueness would be Red Beach. It’s a little trek to get to the beach, but the rock and pebbles are a stunning red colour, the beach was less crowded (when we were there), the water was clear and it feels like an adventure getting there. 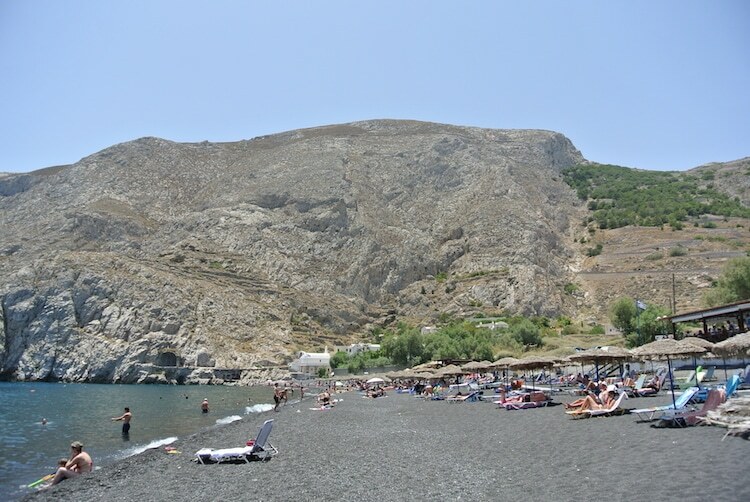 Our pick of beaches near Oia, would be Katharos beach. With only a handful of people there, it felt almost like your own private beach. It has a restaurant, and make sure to bring a towel and umbrella as there is no shade. 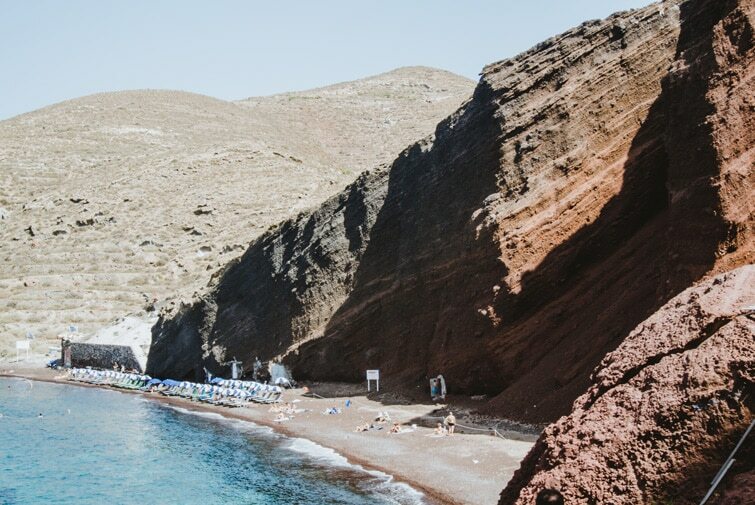 What do you think of Santorini beaches?